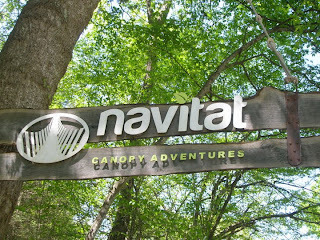 Navitat Canopy Adventures are a lot of fun and the one near Asheville, NC is a top notch operation. It is just shy of an easy 30 minute drive from Oakland Cottage B&B and Asheville, NC. 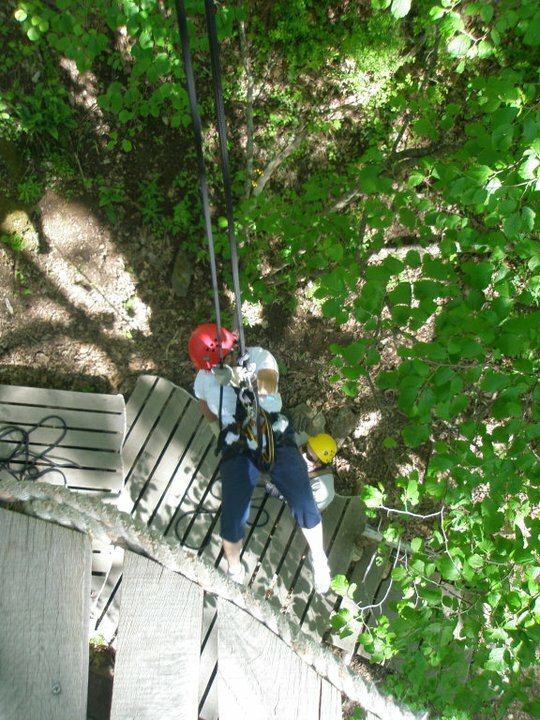 Wonderful staff, extremely professional and in a beautiful setting; from start to finish, allow for a 4 hour adventure in the beautiful hardwood forests of the Western North Carolina Appalachian Mountains. To begin the adventure, settle in for your 15 minute safety briefing and harness fitting with your guides for the day. 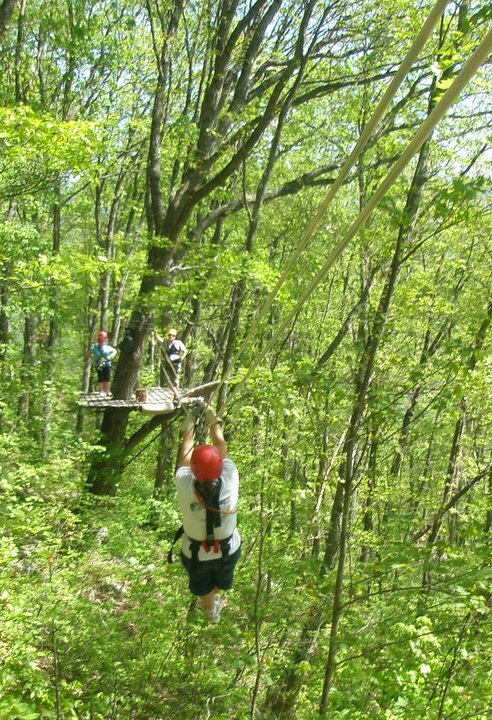 You and up to 7 other participants will then be driven up the side of the mountain via a Gator where you will be dropped off for your first lesson on how to brake and steady yourself as you zip from tree to tree, platform to platform. 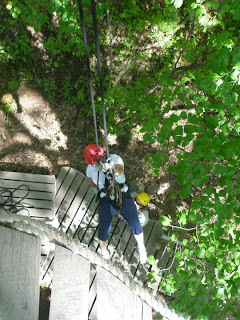 Once up in the trees, the setting is completely in the wilderness - no other buildings or construction are within view during the entire event - and groups are spaced evenly over the 10 ziplines, 2 bridges, 2 rappels and 3 short hikes. And while it is scary at times, it is also wonderfully relaxing to be in and among the trees. 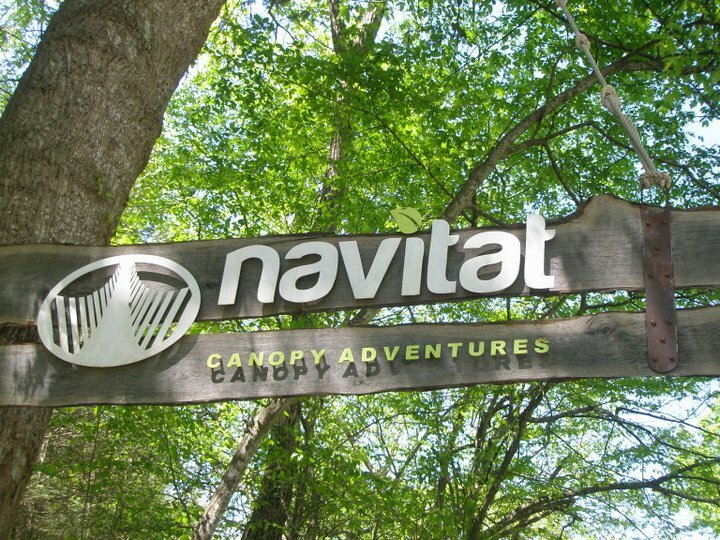 The ziplines are of varying length, the longest ones are quite amazing, the construction of the decks, views, people you meet, beautiful trees in which all is built and the wonderful guides, all add to the amazing experience of Navitat, Asheville NC.